THE New South Wales Land and Environment Court has today fined a northern NSW irrigator almost $190,000, after he pleaded guilty to pumping water in breach of an embargo imposed due to water shortages. Anthony Barlow, who farms the 3500 hectare irrigation and dry land cropping and grazing property Burren Downs near Mungindi, received three fines for two offences totalling $189,491. He was also ordered to pay the prosecutor’s court costs. The court heard Mr Barlow instructed an employee to operate pumps to take water from the Barwon River on two occasions in 2015, the first between 16-18 May 2015 and the second between 29 May-2 June 2015. During the first period an order was in place prohibiting the taking of water from the river due to temporary water restrictions, which had been imposed in February 2015. The embargo was not formally lifted until 29 May 2015. The court also heard that when water was pumped during both periods, the metering equipment on the pumps was not operating properly. In the first period, the meter recorded for both pumps a zero velocity and flow rate for just under two days then a negative velocity and flow rate for around 6 hours on the final day. In the second period, the meter recorded for both pumps a negative velocity and flow rate for much of the period, interspersed with times when the meter recorded zero velocity and flow rate. “Yet during these two periods, both pumps were operating and taking water from the Barwon River,” NSW Land and Environment Court chief judge Brian Preston said in delivering his decision. Mr Barlow pleaded guilty to the offences of failing to comply with the pumping embargo and of taking water when metering equipment was not operating properly. Chief Judge Preston noted that the maximum penalties available for the first offence was a fine of $247,500 and a further penalty of $66,000 for each day the offence continued, and the maximum available penalty for the second offence was $247,500. 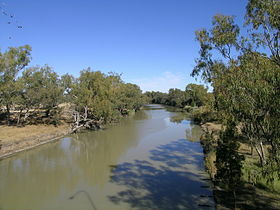 He said Mr Barlow’s conduct in taking water in the first and second periods from the Barwon-Darling Unregulated River Water Source while the metering equipment of the MACE meter was not operating properly undermined the regulatory scheme relating to the distribution, sharing and taking of water and the beneficial protection of water sources. He said his conduct in taking and using water, at a time when the taking of the water from the Barwon-Darling Unregulated River Water Source was prohibited, undermined the regulatory scheme, and thwarted the purpose of a Ministerial direction to prohibit the taking of water in the public interest due to a water shortage. The prosecutor contended that the substantial quantity of water taken – 381.62ML in the first period and 512.52ML in the second period – impacted on the rights of water users downstream and caused environmental harm. In his defence Mr Barlow submitted that there was no evidence that taking of water had any impact on any person’s rights under the Water Management Act, including any person’s right to take and use water from the water source, and contended that there was no evidence of an actual likelihood of environmental harm. Mr Barlow submitted that the taking of water when the meter was not operating properly cannot have caused any harm, because, if the meter had been operating properly, the water would still have been taken anyway. In his defence Mr Barlow said he was personally told by then-NSW water minister Kevin Humphries at a meeting of water users on 25 March, 2015 that the embargo on pumping implemented in February 2015 had been lifted. The court heard that an employee of the NSW Office of Water had also made a file note from the meeting saying the minister had told the meeting “there’s no embargo”. No representative of the NSW Office of Water or the prosecutor corrected the Minister’s incorrect statement that there was no embargo. Subsequent to the meeting on 25 March 2015, Mr Barlow received information that the embargo on taking water from the Barwon-Darling Unregulated River Water Source remained in force. On 9 April 2015, Mr Barlow received an email, in his capacity as a member of the Barwon-Darling water users group, containing a media release from the NSW Office of Water dated 6 April 2015 stating “that temporary restrictions remain in place for the Barwon-Darling River with no access flows by entitlement holders with B and C Class licences”. The covering email dated that “embargos on the unregulated Barwon-Darling River were unlikely to be lifted any time soon”. On 22 April 2015, Mr Barlow received an email attaching a document that noted that the embargo remained in place. Mr Barlow told the Court that although he received these emails advising that the embargo was still in place, he did not read them at the time. In his judgement Chief judge Preston said Mr Barlow had shown ‘reckless indifference’ to whether the embargo was still in place. He noted in determining his sentence that Mr Barlow had taken responsibility for his actions, and had acknowledged that adequate systems were not in place at the time of committing the offences to ensure compliance with the Water Management Act. Since the commission of the offences, Chief Judge Preston said Mr Barlow had made changes to prevent a reoccurrence of the offences, had endeavoured to make reparation for his actions had demonstrated remorse for the offences.